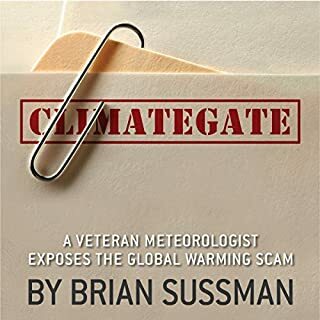 Those now notorious intercepted emails documenting leading scientists conspiring to squelch global-warming skeptics and falsifying data proved exactly what Brian Sussman has been saying for years. Climategate is intended for anyone who has ever expressed skepticism about the clamorous environmentalist claims that the Earth is in peril because of mankind's appetite for carbon-based fuels. 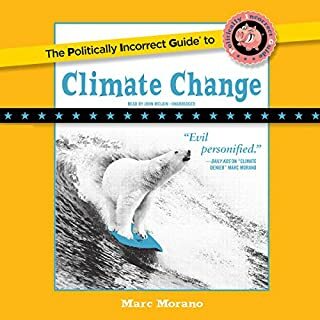 From the author of the New York Times best-selling Politically Incorrect Guide to Global Warming (and Environmentalism) comes Red Hot Lies, an exposé of the hypocrisy, deceit, and outright lies of the global warming alarmists and the compliant media that supports them. Did you know that most scientists are global-warming skeptics? Or that environmental alarmists have knowingly promoted false and exaggerated data on global warming? 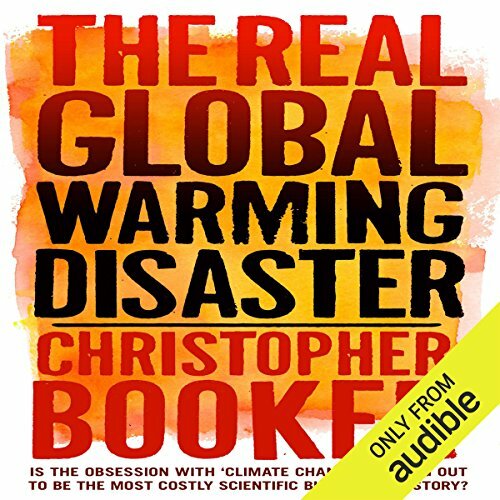 This original audiobook considers one of the most extraordinary scientific and political stories of our time: how in the 1980s a handful of scientists came to believe that mankind faced catastrophe from runaway global warming, and how today this has persuaded politicians to land us with what promises to be the biggest bill in history. Christopher Booker interweaves the science of global warming with that of its growing political consequences, showing how just when the politicians are threatening to change our Western way of life beyond recognition, the scientific evidence behind the global warming theory is being challenged like never before. 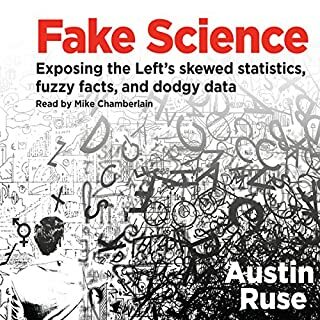 The audiobook exposes the myth that the global warming theory is supported by a 'consensus of the world's top climate scientists'. It shows how the UN's Intergovernmental Panel on Climate Change is run by a small group of 'global warming' zealots, who have repeatedly rigged evidence to support their theory. But the politicians, pushed by the media, have so fallen for its propaganda that, short of dramatic change, our Western world now faces an unprecedented disaster. ©2009, 2010 Christopher Booker (P)2013 Audible Inc. I've read a lot about climate change--on both sides. I feel like understand the science pretty well, but I have always been mystified as to how so many smart people could disagree with each other on such simple issues. Booker's history details the creation of the IPCC, and the political baby steps which got us here. In each case, a small group acted in their own interest, and each step seemed almost reasonable. But the net effect has been this wide-scale tragedy, that will scar and shame the scientific community for generations. As someone who really loves science, I hate to see it abused. This book offered little peace, but gave me a lot of understanding. Mr Booker reveals, point by point, all the lies, doctoring of data, political collusion, and name calling of any who dare challenge the "consensus". If only half of what he reveals is true, then the global warming, or climate change, hysteria is the biggest scam ever perpetrated on the world. And the goal seems to be the collapse of capitalism and the creation of one world government, led by the UN. If you could sum up The Real Global Warming Disaster in three words, what would they be? What was one of the most memorable moments of The Real Global Warming Disaster? President Obama is put as solely responsible for saving the world. The idiosyncrasy and sadness that exists with the political view of something that has been blown off tract by a few egoist and the massive extent of those engaged. Absolute confirmation of the reasons for climate change. Go figure...our sun and it's decades and centuries of solar radiation variations, sun spots and prominences. Duh!!! We need another follow up book about the CERN particle accelerator discoveries showing co2 as minuscule to the equation and the cosmic radiation from our sun as the lion share. The book was kind of unclear. There's an old guy that lives in Virginia. Is self taught in the global warming, has signs and says the worse is to come. It's always politicians that know what they are saying when it's not like that.. They just go by the facts and not the truth in global warming. This man is smart and know all about the global warming. A meticulous account of the science, pseudoscience, and political intrigue involved in the global warming saga. 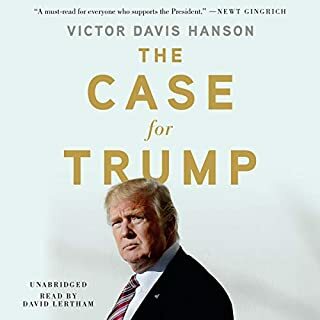 Rich Jerome is a fabulous narrator and Christopher Booker has crafted a masterpiece exposing the hypocrisy of unchallenged elements of the political realm. 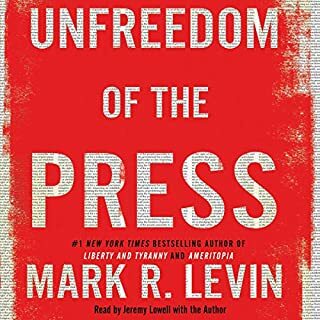 A must read for anyone who wishes to engage in an intellectually honest discussion of this issue. The truth behind the "Global Warming" curtain. What did you love best about The Real Global Warming Disaster? Exposing the political and corporate motivation behind the sham. I believe that our climate is a dynamic system with many factors that can affect the day to day weather as well as the more long term affects on our climate and is not an anthropogenic event. The use of risk models and maps to predict the long term climate change has an inherent, although not immediately apparent, flaw: dependability. Not one of them is taking into consideration the role of sunspots and solar wind and their affect on our climate cycles. Scientists believe that the number of spots on the sun cycles over time, reaching a peak—the so-called Solar Maximum—every 11 years or so. Some studies indicate that sunspot activity overall has doubled in the last century. The apparent result down here on Earth is that the sun glows brighter by about 0.1 percent now than it did 100 years ago. Booker talks of Nuremberg trials when millions start dying due to global warming. He will be one of the first tried. This is a collection of lies intended to stop the fight against climate change. But it is poorly done, with obvious false data. The reader has a nice British accent, but for the first third of the book, he kept saying"climactic" instead of "climatic". He also came across as snide and obnoxious. A must read on the greatest scam in history. Written in chronological order, it can serve as a great reference. Belief in evidence is what counts. Don't like Trump, didn't like Thatcher but at least they didn’t allow puppets to pull the strings. I have read many books saying climate change IS happening and some that say it is not. I am still undecided. But feel i am in a better position for listening to this book. The criticism of the make up of the IPCC in particular is worrying. If you ONLY read one side of an arguement, how can you say you have made a CONSIDERED decision? What did you like most about The Real Global Warming Disaster? The book examines the skeptic view which has been outlawed by the climate warming orthodoxy. It explains how the many counter arguments put forward by academic scientists are ignored by politicians despite the logic of many of the arguments and shunned by broadcasters and news owners/journalists who seem to almost enjoy the lack of impartiality in reporting climate change, like as if it is a football team. The book disputes that there is a man made climate change = catastrophe consensus. 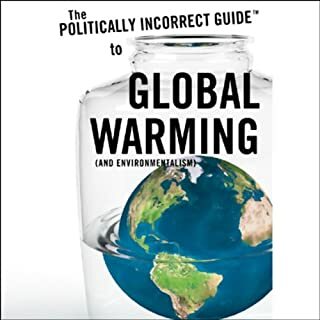 The book adds some weight to the argument that our views about supposed AGW and the surrounding governmental policies need to be reconsidered. If global warming turns out to have been more of a political pushed agenda than a scientific consensus then this account will be the ultimate: you were warned moment. It is difficult not to be all out convinced that global warming as a man made phenomenon is a purely political agenda. This is the books weakest side as well. The opposite view is almost always narrated as not so benevolent as the sceptics.